Schools out, the weather is nice, work slows down. Why not take this time to move?… said, everybody. With 60% of all moves taking place from May to August, summer is known as “peak season” in the moving business. Schedules are packed and trucks and crews run sun up to sun down. Any hiccup in a mover’s schedule can mean delays or cancellations and unhappy customers. Yes, summer can be a crazy time to move, but with a little planning, you can avoid the madness. Here are my top tips for a successful summer move. When I worked in sales for a moving company you knew it was summer when the desperate calls started rolling in. 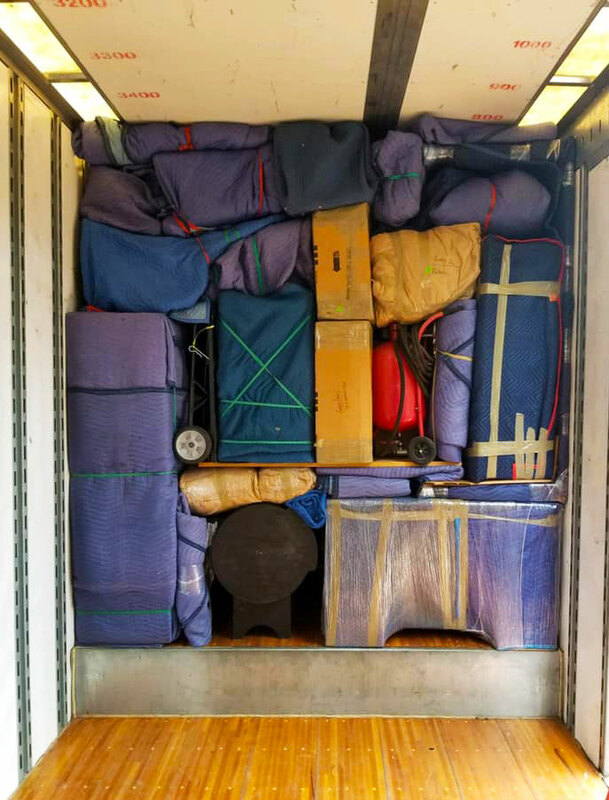 Unfortunately, moving companies are limited by truck capacity. Once the trucks are full, that’s it. Many national moving companies even have blackout dates for portions of the summer. They won’t take any new customers to ensure they have enough capacity to handle their important military and corporate clients. Start your research and collect quotes around 3 months out from your expected move date. Book a moving company no later than 6 to 8 weeks before your move. If you don’t have a choice and have to book last minute be extra careful. Moving scams will often target desperate customers in the summer. If you aren’t sure about a company consider choosing a different option. We also put together this in-depth guide on how to vet moving companies. Memorial Day, July 4th, and Labor Day. Because people have extra time off work, holidays are some of the busiest times of the peak season. If you have any choice, avoid moving around these holidays. You should also try and avoid the beginning or end of the month. Leases usually roll over at the end of the month so a lot of people are forced to move then. Not only are prices higher around these times but many moving companies will be booked out months in advance. And schedules are jam-packed increasing the odds a mover might have to cancel last minute. If you can, the best time to move is mid-month. If not, don’t sweat it. Just book well in advance and pay attention to the rest of these tips! Moving is already expensive and if you’re moving during peak summer season prices are about 25-35% more expensive. You can use our moving estimate pricing calculator to get an idea on costs. This is the piece of advice that usually freaks people out. Moving companies are overwhelmed during the busy summer months and their schedules are extremely tight. One hiccup in the schedule and your mover may have to cancel last minute. But if a truck breaks down and the mover can’t meet your dates, well they’ll have to cancel. While this doesn’t happen often, it does happen. And it’s better to have a list of names to start calling, especially if you have to be out by a certain date. I always recommend getting quotes from self-service options like freight trailers and moving containers. These options can often handle last-minute moves even in the summer. Moving companies will not have climate controlled trucks. And in the heat of summer, the inside of a moving trailer can get pretty hot. Sensitive Electronics – laptops, cell phones, stereos, etc. could get damaged in the heat. Your TV should be fine but check with your mover. And lastly, be nice to your movers. Buy some bottled water, maybe some pizza, and let them do their work. Remember, movers don’t get their vacation until December.